The number of felony cases opened in Milwaukee County rose 3 percent last year, the biggest jump since 2010, records show. There were 5,694 felony cases opened last year, up 151 from the previous year. It is he first significant increase in crime since 2010, when there were 6,194 cases opened, a 4.7% increase over the previous year. 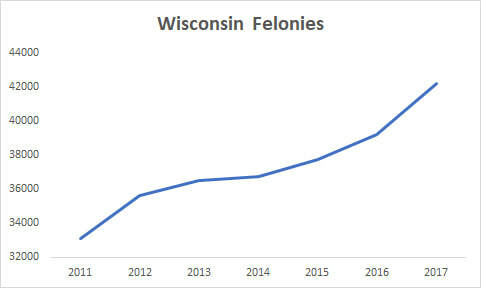 Felony traffic cases were up 21 percent last year, when there were 439 felony traffic cases opened, up 76 from the 363 filed the previous year, according to the statistics from the Wisconsin Court System. 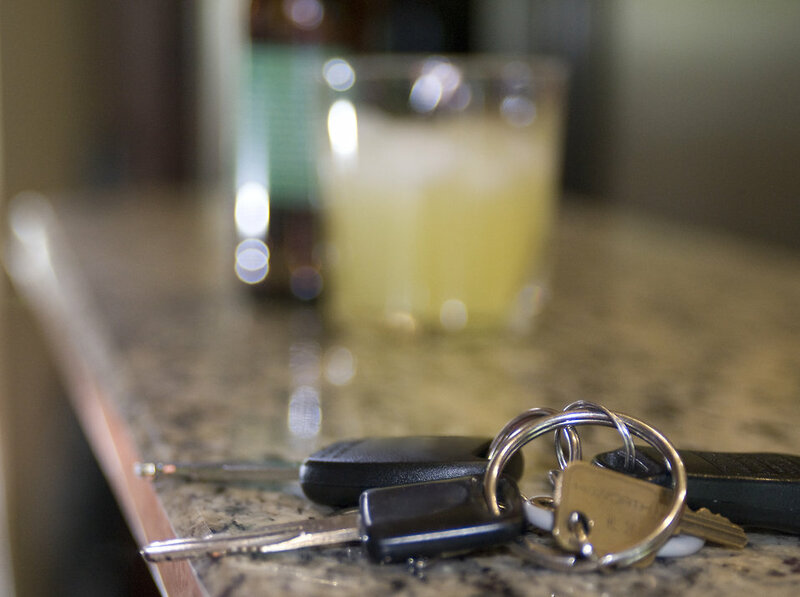 Tougher drunk driving laws likely are responsible for much of the increase. Fourth offense drunk driving became a felony in 2017. Intimidating a victim / witness cases jumped to 100 cases last year, a 69 percent increase from the 59 cases filed in 2016. On the decline side, the number of armed robbery cases dropped from 398 in 2016 to 282 last year, down 116 cases, or 29%. Weapons and explosives cases also were down, from 91 to 47, a drop of 44 cases, or 48 percent. Substantial battery cases were down by 56 cases, or 25 percent, but that decline was offset by a 46-case, 72 percent increase in felony battery. The figures do not reflect the total number of charges, but the top charges. A single case may include multiple charges, with the top charge the most serious. The number of weapons / explosives cases listed by the state is incorrect and should be significantly higher, District Attorney John Chisholm said. Prosecutions are a result of police referrals to the district attorney’s office. Felony referrals fell by 10.4 percent from 2011 through 2016, according to figures Chisholm provided. The number of felony cases opened fell by 9.4% over that same time period, according to the state statistics. 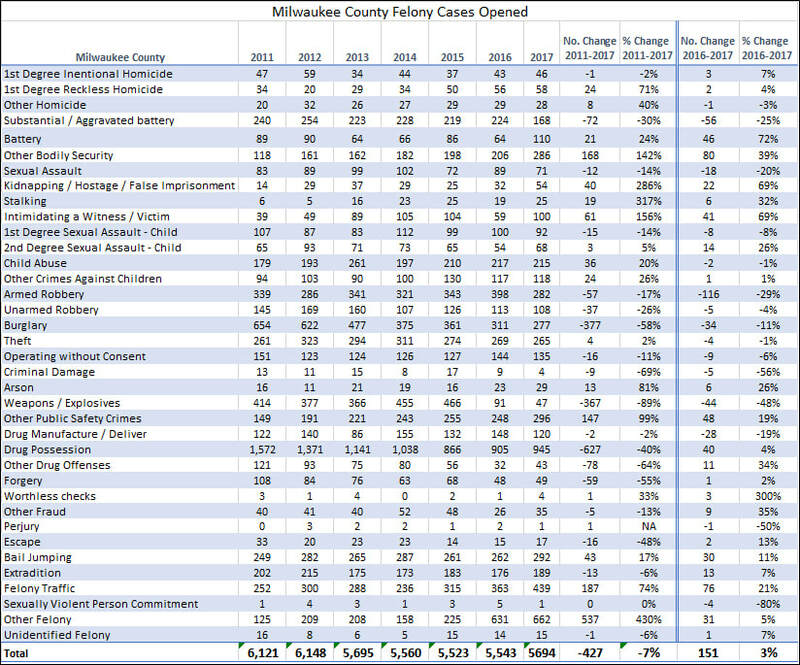 Overall, from 2011 through 2017, felony court cases opened in Milwaukee County fell 7 percent; statewide, they rose 18 percent.